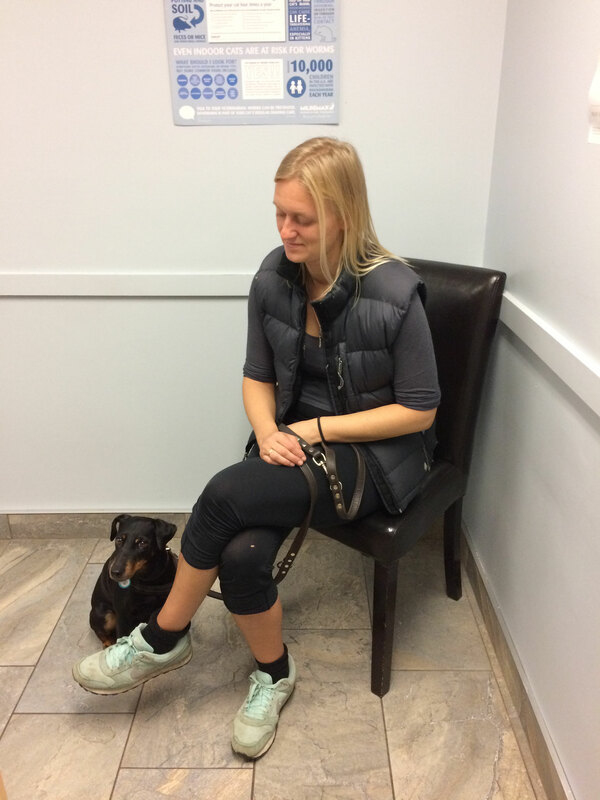 Traveling with dog: what if dog needs surgery? 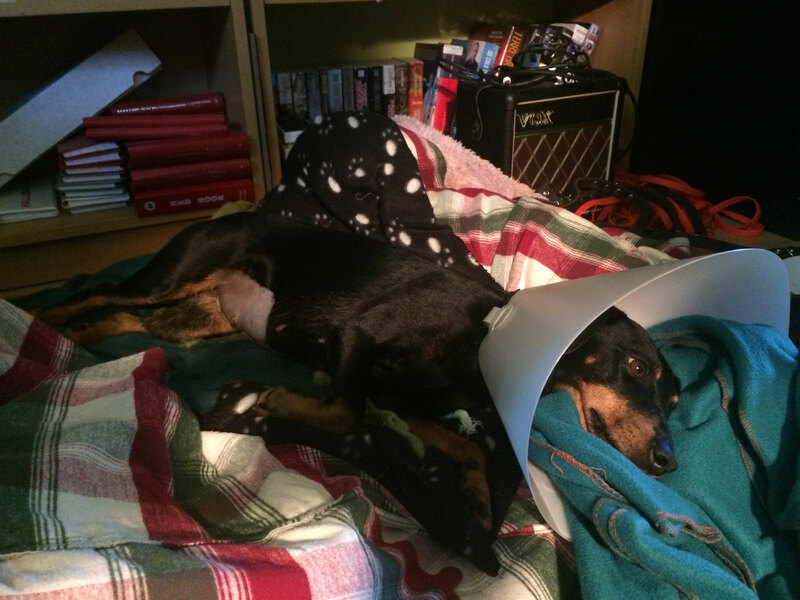 Back in December 2016 we found out that Bella had a tumor in her mammary gland and she had undergone a big surgery. Afterwards the surgery, cancer was considered healed and we were so happy. We were looking forward to our adventure to travel with Bella in Canada without having to be concerned. We knew that it might come back – but that fast? No, we actually haven’t expected that. So, all over sudden our travel plans have changed - Treatment of the dog has priority. It was Saturday, all veterinarians in Sudbury (northeast Ontario), where we stayed at that time, were closed. We decided to stay in the area and come back to the city on Monday, because the next big town is too far away. We already knew: Bella needs a surgery. 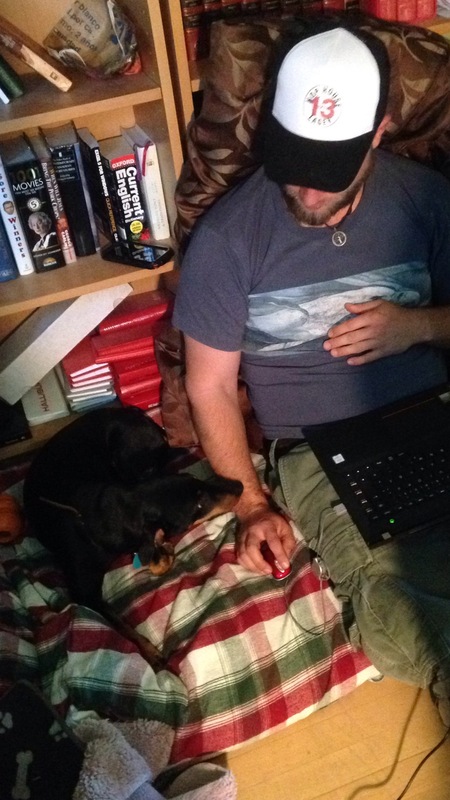 I’m not homesick very often, but there it was, the feeling of how easy (considering the circumstances) everything would be, being at home with our own veterinarian that we trust and an environment where we know how everything works. 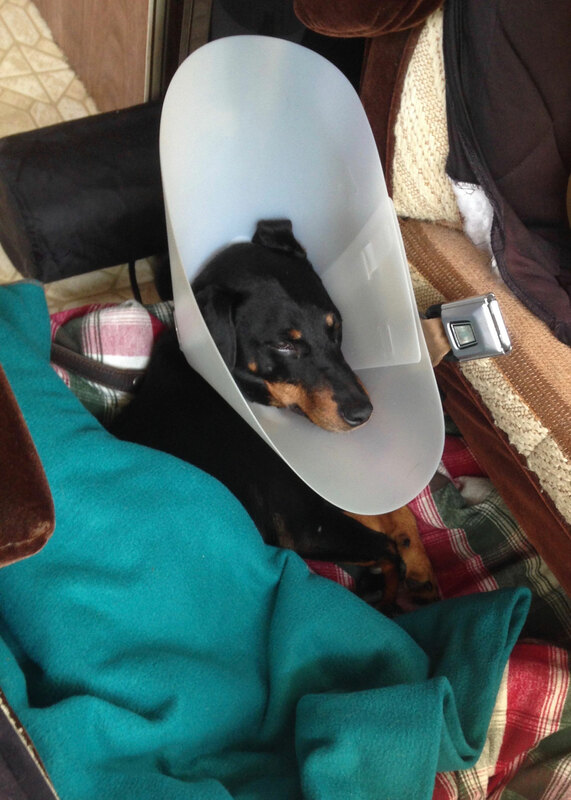 But we are on the road, our truck is all we have and it’s not easy to give the dog space for a real rest after a surgery. So what shall we do? Good to have friends in a country where you are still a stranger. 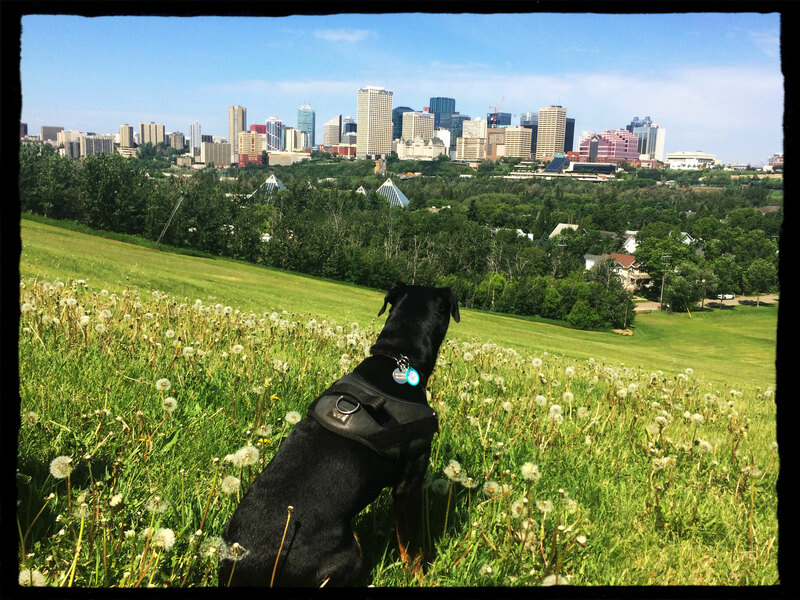 Our friend Chris lives in Edmonton and we wrote him, describing him the situation and he immediately invited us to stay with him at his house so that Bella can have a place where it’s calm and steady after her planned surgery. The question that was still in the air is: should we wait that long? I mean, we are still 3000 kilometers away from Edmonton. What’s the priority and better for the dog? – Either doing the surgery as fast as possible but then not having a place for a real rest for the dog or do the road trip way faster than planned and then having a house for the dog and probably better clinics in a big city? Big decision. Not an easy one. We decided to drive all the way to Edmonton. We were researching the internet for a good clinic in Edmonton and found one that sounded pretty good to us and we were lucky! 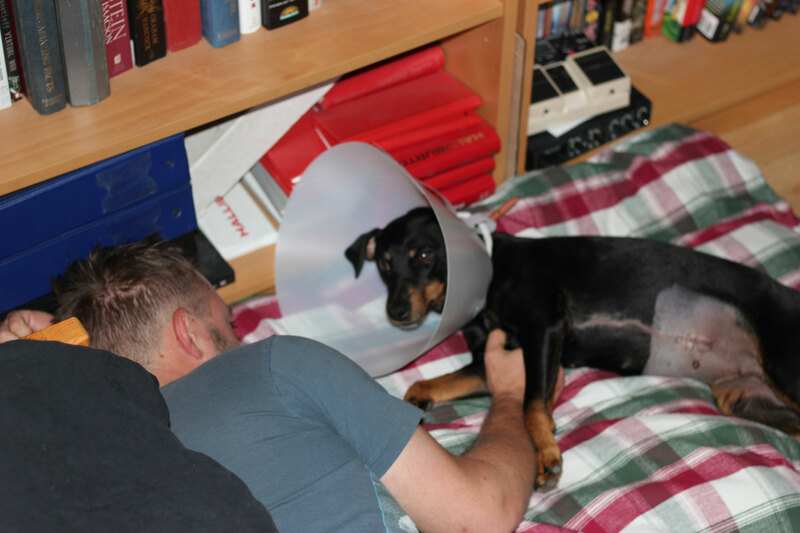 We did the surgery nearly two weeks ago: They spayed her, took out her lower lymph knot and the man and Bella had the best treatment ever there! 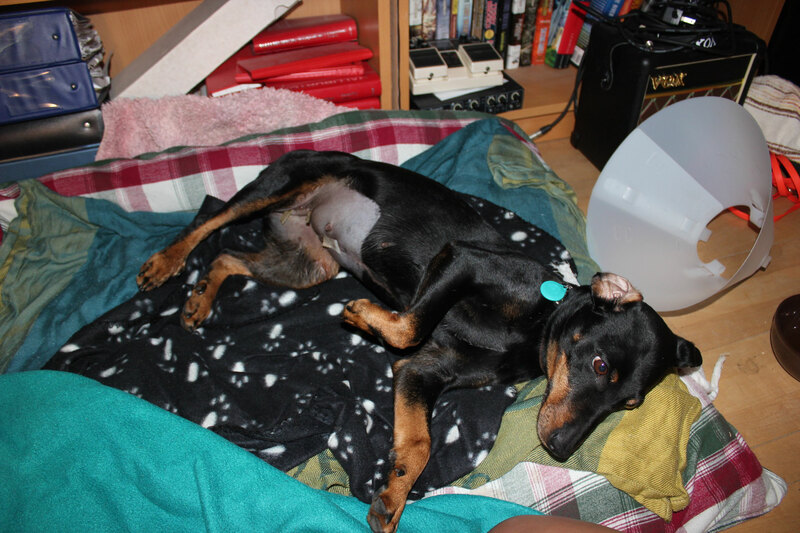 Dr. West and the whole team took so much time for us and were caring so much for the dog and us. We really have no words for how nice they all were to us! 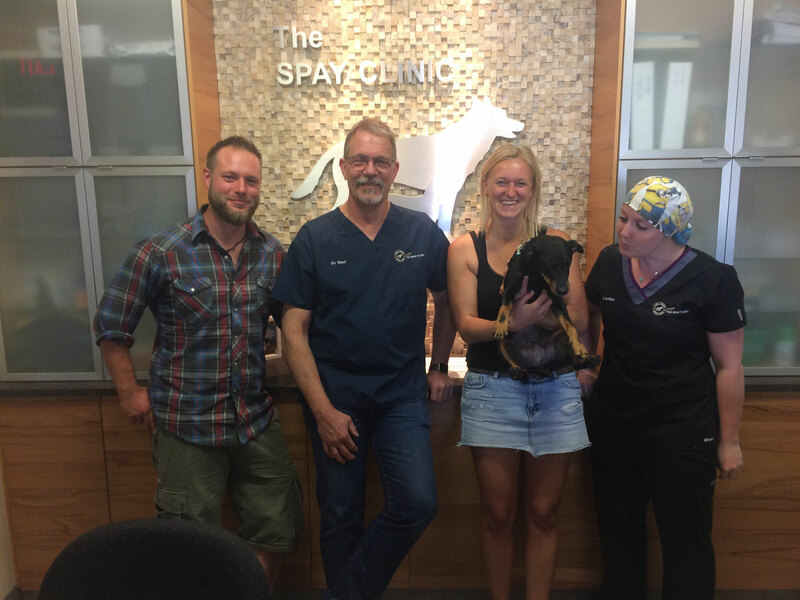 Thanks to Dr. West and the whole team of the Original Spay clinic. 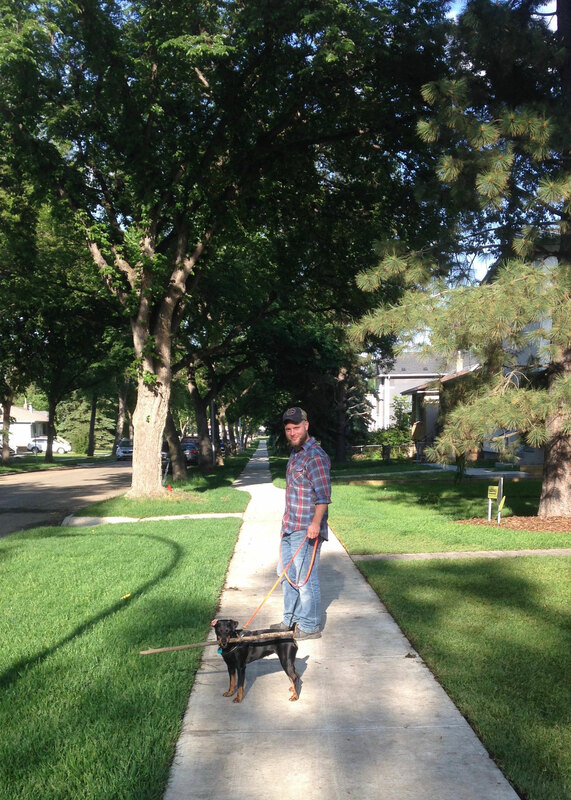 Bella is recuperating well and it was the best decision to come to Edmonton where the dog has a house to rest. Bella is back on track which means she’s very active and wants to play all the time (as usual), but we still have to calm her down as she’s not supposed to move around like normal yet. To some extend we’re appreciating even more the days and the gift of doing this journey together with our dog. Even it’s more difficult to travel with a dog it is definitely one of the most beautiful things I could think of: Travelling with my best friend on earth! - We are so happy - Soon Bella can go for swimming again and explore new adventures in Canada.